HomeBLOGReady for Digital Communication for World AIDS Day 2018? HIV.gov’s Events section is where you’ll find our content on national health observances. Our World AIDS Day page provides information on events, as well as the logo (in several formats), images, customizable posters, fact sheets, and resources from across the U.S. government. We’ll be adding resources to our World AIDS Day page frequently throughout December, so don’t forget to check in often! For videos, including our Positive Spin videos about living across the HIV care continuum, visit HIV.gov on our YouTube channel. World AIDS Day messages often introduce accurate information and new developments in HIV prevention, care, and treatment to audiences that don’t realize that HIV is still a significant public health issue. We’ve got resources on HIV signs and symptoms, prevention and transmission, PrEP, treatment as prevention, and more in our HIV Basics section. And please feel free to cross-post any HIV.gov blog on your own website! 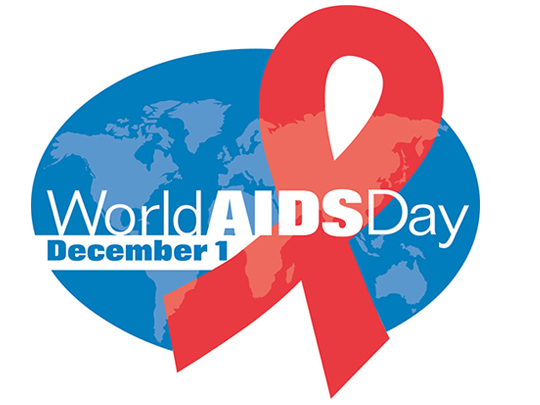 Do check out our blog collections about World AIDS Day, and other national health observances. If you’re focused on the 30th anniversary of World AIDS Day, our Timeline of HIV/AIDS shows how the epidemic has evolved over the last 37 years. Are you encouraging your target audiences to get tested, know their status and, as needed, to get into care? You can point to the HIV Testing Sites & Care Services Locator (and there’s a widget to embed the Locator in your website). One key resource is CDC’s HIV content. CDC also updates its feature page about the observance and posts social media images. UNAIDS has posted a feature story about the observance, and don’t miss PEPFAR.gov’s World AIDS Day plans as well. For outreach to specific populations, check out the many resources on HIV.gov’s Federal Campaigns page. #WAD2018 is the hashtag for the observance. Use it in your social media communications to join the conversation and to check out what others are saying. We’ve already seen some use of both #WAD and #WorldAIDSDay, so stay tuned to see which hashtag is more popular. How can you help World AIDS Day trend? The federal theme for this year’s observance is “Saving Lives through Leadership and Partnerships”. We encourage all our partners to incorporate the theme as appropriate into their digital and traditional communications. #1: This Facebook Live event on Upping Your Game: Making Your World AIDS Day a Success Through Social Media can help you form your own “best” plan. #2: The social media experts who staff our Virtual Office Hours program are experienced with both tools and strategies for communicating about HIV/AIDS Awareness Days. November appointments are available if you would like to book a conversation with our team about your social media questions! #3: The HIV.gov Event Planning Guide can help you use your goals and objectives as the basis for thinking through your ideas for World AIDS Day or other events. We hope these resources can help you increase your effectiveness at communicating about the ongoing HIV epidemic and inspire individual and collective action on and around World AIDS Day 2018.